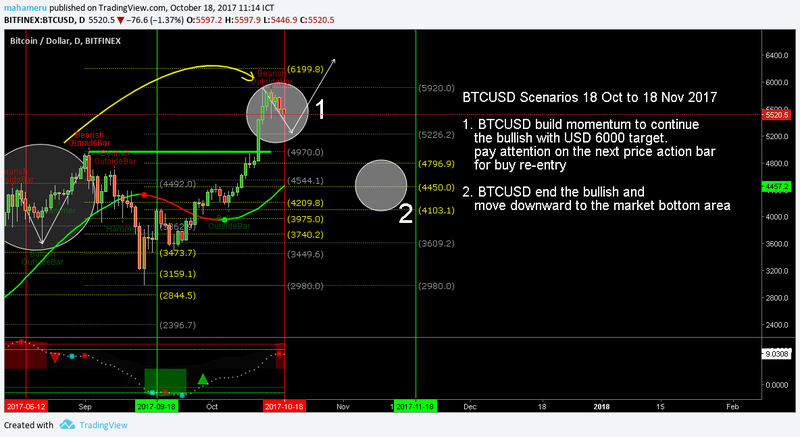 BTCUSD daily chart analysis. Market data from Bitfinex. Two possible scenarios for BTCUSD start from 18 October to 18 November 2017. UPDATE Of 18 October to 18 November 2017 Scenarios can be found here!